today at mobile world congress in spain, verizon wireless and skype announced that they have partnered up to provide a nifty application to their smartphones which will allow for free international calls, is free to specific smartphones users with data plans, and will not use your monthly minutes. one of those smartphones is as you’ve probably guessed, the motorola droid. yay or who cares? 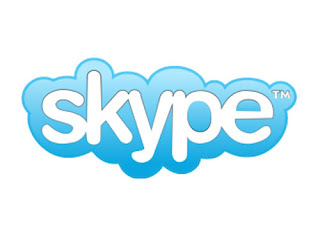 According to Verizon, the application will allow smartphone users to make unlimited Skype-to-Skype calls around the world; call international numbers at more favorable Skype rates; send/receive instant messages to/from Skype users; and see contacts’ presence to know when they are online. Calls made from the Skype Mobile app will transit Verizon’s cellular circuit-switched network, but won’t use a subscriber’s monthly minutes. The application will not work over Wi-Fi via VoIP. The application and its use will be free to smartphone owners who subscribe to a monthly data plan. The application will be available for the BlackBerry Storm 9530, Storm2 9550, Curve 8530, Curve 8330, BlackBerry 8830 World Edition and the Motorola Droid and Devour, and the HTC Eris. It will be available starting in late March. they have already established a web address (http://phones.verizonwireless.com/skypemobile/) that should be live at some point today. anyone out there a big skype users? i myself have used the service once, maybe twice, but i guess i’m still excited to know that we’ll get this app for free. can’t beat that right?